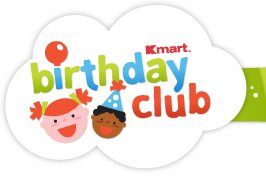 Kmart now has a Kmart Birthday Club for Kids. Similar to the Toys R US Birthday club here. I just signed up my little guy. I like joining birthday clubs because every little bit of savings adds up! Hi! Visiting from FF. Looking forward to reading through your blog!